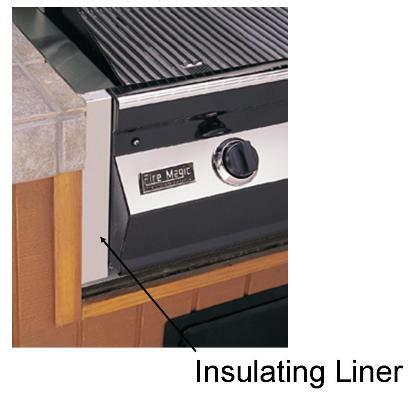 Firemagic Insulating Liner used for island built-in or cabinet installations. Made of stainless steel and fireproof materials. Necessary for non-masonry cabinet and island installations. Cutout Dimensions: 22 3/4"W, 21 1/2"D, 13"H.